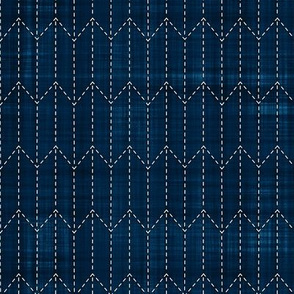 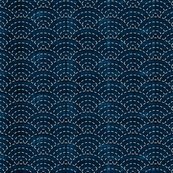 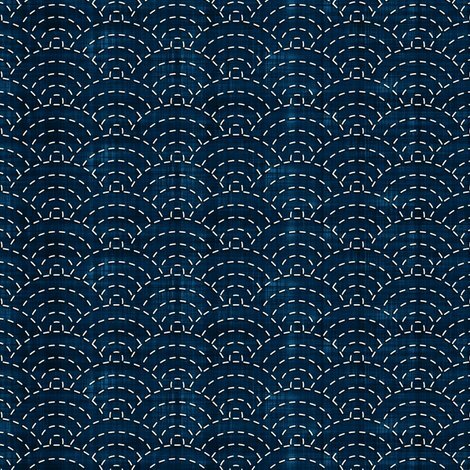 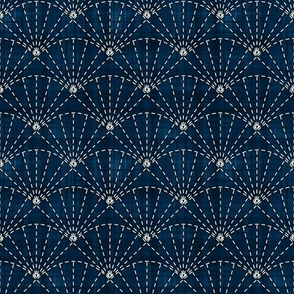 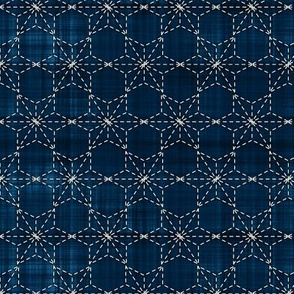 A design in the style of Japanese Sashiko embroideries, printed on a background that imitates yarn-dyed indigo fabric. 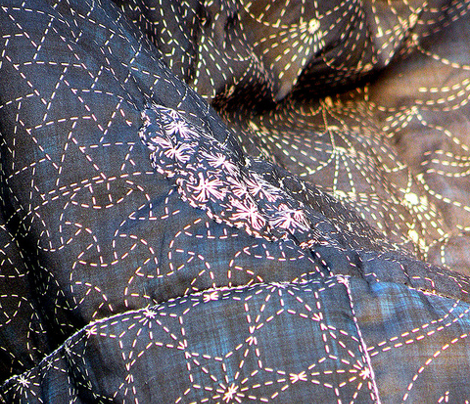 This is a design that imitates Japanese Sashiko embroideries, which actually aren't 'embroideries' as in 'just decorative', but a way of mending and recycling torn clothes. 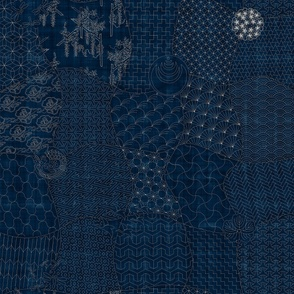 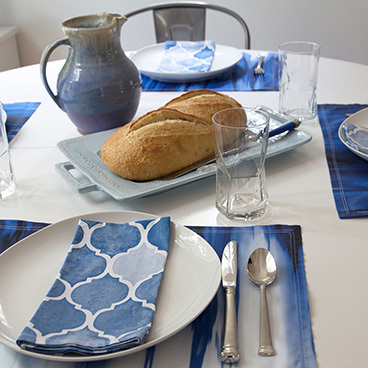 The background of the design imitates yarn-dyed indigo fabric, with the typical, slightly irregular, greenish-blue weave. 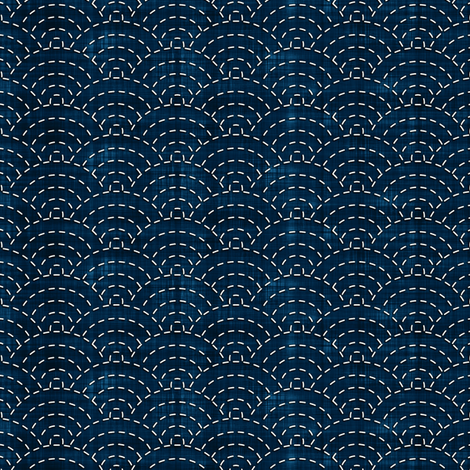 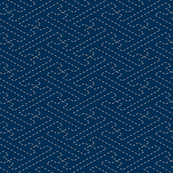 I have created an entire collection of Sashiko designs, including a 'plain' Indigo design (without the mock embroidery). 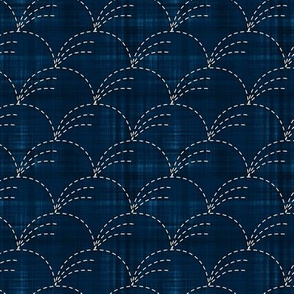 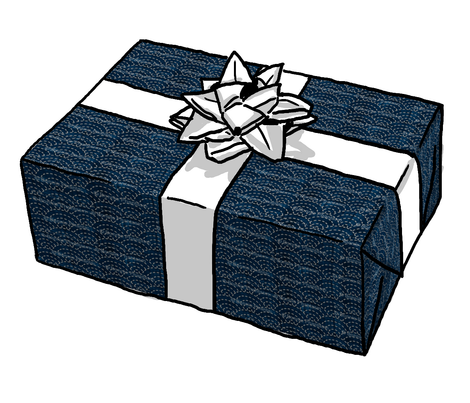 In case you would like to order swatches of those designs, the Sashiko design sampler is a very good alternative to 'regular' swatches - it has all my Sashiko designs on one yard of fabric - that design is also available printed on many other products on Cafepress as well as on Zazzle!